LeRoy Harold Clausen, age 83, of Salem, Oregon passed away on Monday, September 3, 2018 at his home surrounded by family. He was born on March 28, 1935 in Lake Park, Iowa to Emil Martin Clausen and Doris Alvina Siemers Clausen. He married Karen Rene Moorhead in The Little Brown Church in Nashua, Iowa on December 22, 1956 and she survives of the home. LeRoy was raised in Minnesota on a dairy farm. He served in the United States Navy from 1956 to 1960 followed by two years in the Reserves. He worked as a farmer and truck driver. He enjoyed owning and showing classic and antique automobiles. He and his wife belonged to the Willamette Historical Auto Club. They collected vintage clothing and items. He greatly loved traveling with his wife and family. In addition to his wife Karen, he is survived by six sons, Dennis Clausen (Tammy) of Salem, Oregon, Darren Clausen (Mary) of Hayden Lake, Idaho, Derrick Clausen (Amy) of Independence, Missouri, Douglas Clausen (Dawn) of Molalla, Oregon, Dustin Clausen of Aumsville, Oregon, and Darrell Clausen (Sunny) of Athens, Tennessee; 7 siblings, Cecil Clausen (Carole) of The Villages, Florida, Jerry Clausen (Sandy) of Rochester, Minnesota, Norman Clausen (Erika) of Marietta, Georgia, Ronnie Clausen of Kasson, Minnesota, Donna Svoboda (Clifford) of Dayton, Oregon, Audrey Mueller (Dan) of Pine Island, Minnesota, and Myra Jackson (Roger) of Stayton, Oregon; 13 grandchildren, Aubrey Lindemann, Kimberly Clausen, Kevin Clausen, Meghan Blair, Anthony Clausen, Nicholas Clausen, Blake Clausen, Jena Clausen, Madeline Clausen, Hayley Clausen, Zachary Clausen, Cody Clausen, Chloe Clausen, and Colt Clausen; and 3 great grandchildren, Damian Lindemann, Jade Lindemann, and Shelby Clausen. Extended surviving family includes numerous nieces, nephews, and cousins. He is preceded in death by both parents and 6 siblings, Donnabell Clausen, Leslie Clausen, Ardith Krom, Carman Clausen, Shirley Lemon and Sandra Ash. Visitation will be held at 6:00 pm on Sunday, September 9, 2018 at Johnson Funeral Home, Salem, Oregon. 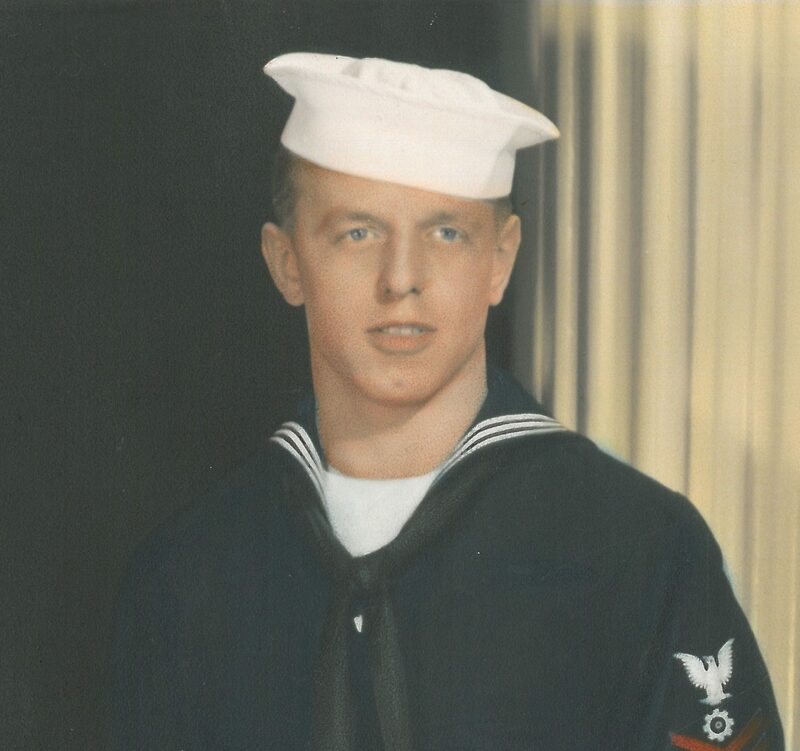 Memorial service officiated by Miles Johnson and interment will be held at 9:30 am on Monday, September 10, 2018 at Willamette National Cemetery with full military honors performed by the Navy Honor Guard. Those who wish may contribute to the Parkinson’s Foundation at parkinson.org. I am so very sorry for your loss. To me, LeRoy was invincible. He was always there and he did everything above and beyond what you could expect. My prayers are especially with my very dear friend, Karen, and the six “boys”. Manny and I are so sorry for the loss of your father. Our sympathy is will you and your family. So sorry to the family for your loss. I enjoyed many conversations with Leroy over the years. I will never forget those tractor rides on the farm with uncle LeRoy. Prayers are with the family at this difficult time. We mourn for those left behind and find comfort in LeRoy having his place with the Lord.